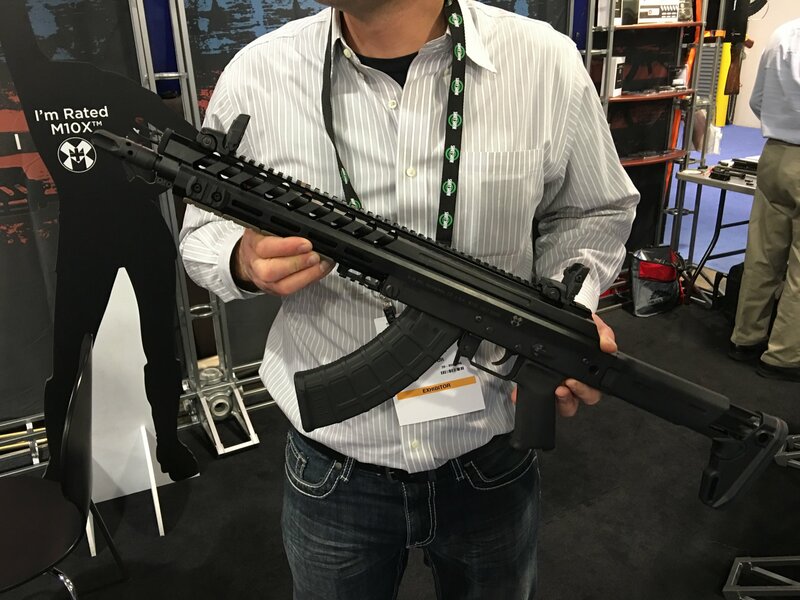 M+M Industries M10X Elite 7.62x39mm Russian Kalashnikov AK-47/AKM-Type Long-Stroke Piston/Op-Rod Assault/Tactical Rifle/Carbine/SBR/Pistol! (Video!) | DefenseReview.com (DR): An online tactical technology and military defense technology magazine with particular focus on the latest and greatest tactical firearms news (tactical gun news), tactical gear news and tactical shooting news. 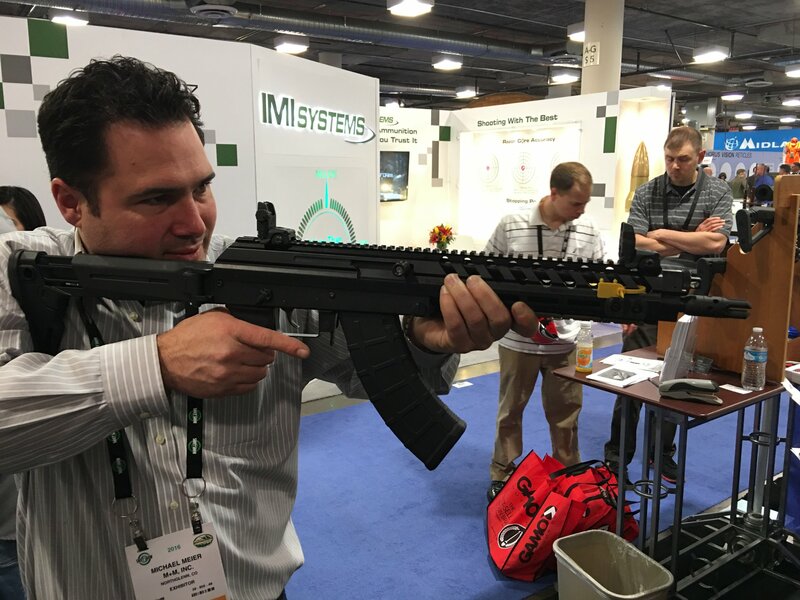 Last year, DefenseReview (DR) was one of the first publications to publish a detailed article on the M+M M10X 7.62x39mm Russian AK-type long-stroke gas piston/op-rod tactical rifle/carbine, after we viewed and handled it at SHOT Show 2015. 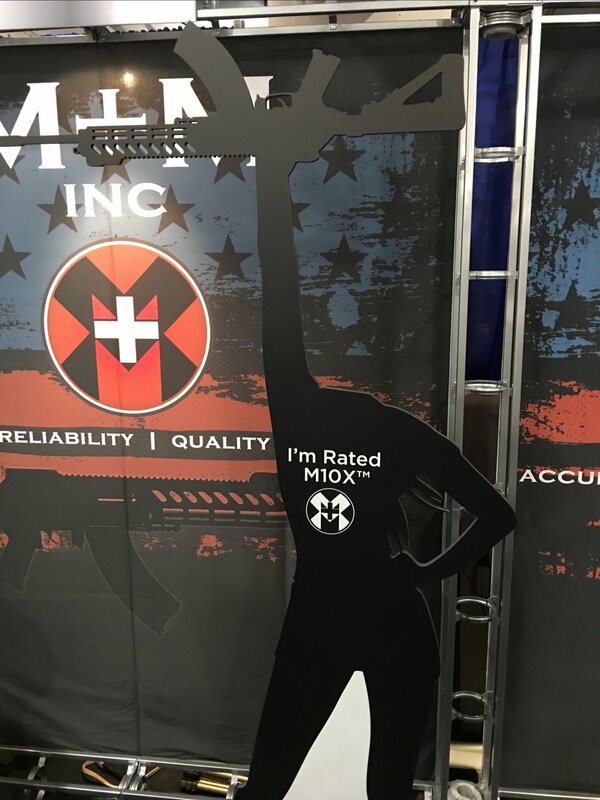 Well, we recently had the pleasure of checking out the new M+M Industries M10X Elite assault (select-fire/full-auto)/tactical (semi-auto-only) rifle/carbine/SBR (Short Barreled Rifle)/pistol at SHOT Show 2016, and came away impressed with the package.The M10X Elite looks really good, so DR hopes function follows form (under adverse conditions and high round count). 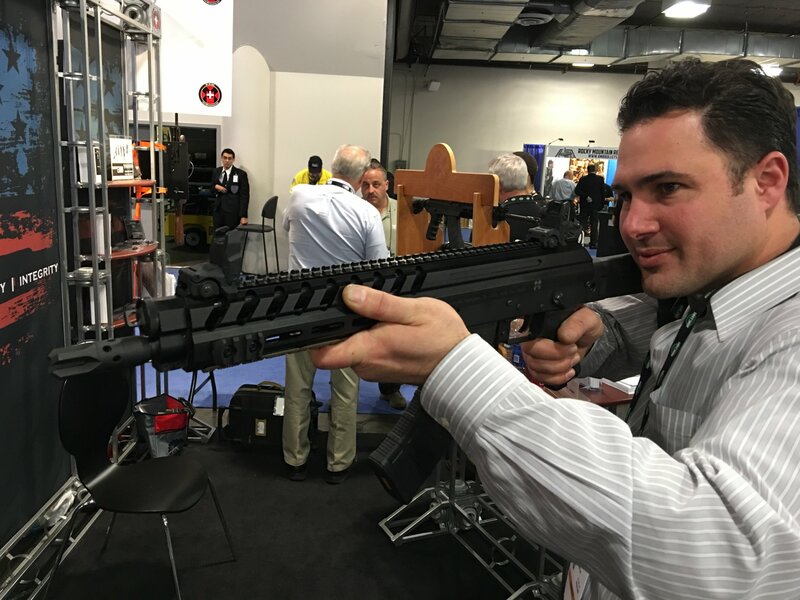 Michael Meier of M+M Industries was kind enough to takes DR through the features of a M+M M10X Elite SBR, just like he did with the earlier, standard model, last year. 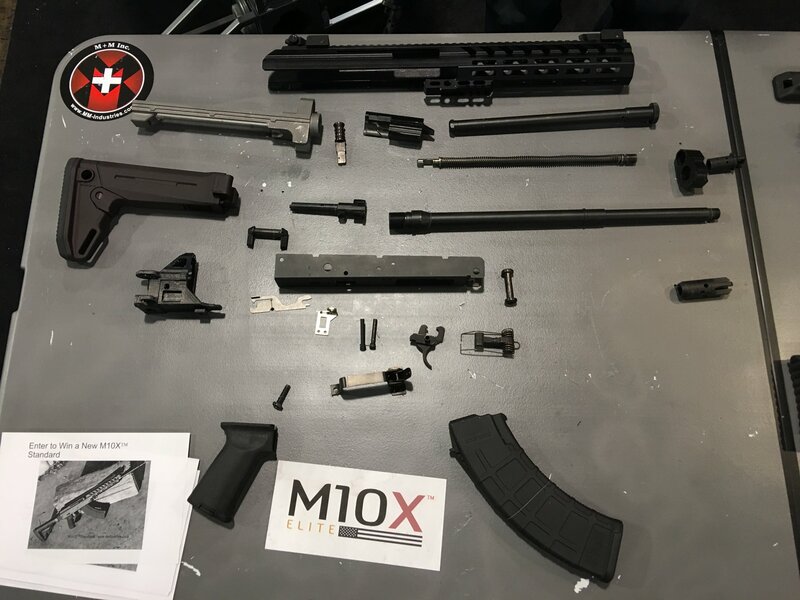 As you can see in the accompanying photos and video, the gun he showed us sported a Magpul Zhukov-S Stock AK47/AK74 side-folding and telescoping/retractable buttstock and Magpul SSG Selector Set– FN SCAR MK16/16S safety/selector switch, as well as a nice looking M+M muzzle brake/flash hider/suppressor. The gun can be had in various barrel lengths up to 18.5″ (18.15 inches), with carbine length barrels coming in at 14.5″-16″. The gas block/regulator has five settings, and was designed with silencer/sound suppressor use in mind. MSRP for the M10X Elite is currently $1,550-$1,600 USD, as of this writing. 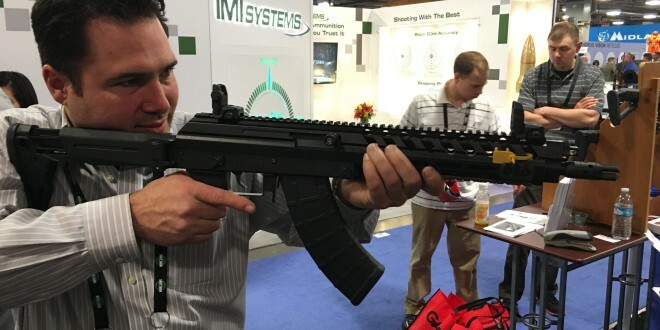 While Defense Review really likes our tactical AR’s (AR-15 carbine/SBR’s), we also like modernized semi-auto-only tactical AK’s in both 7.62x39mm Russian and 5.45x39mm Russian. So, a semi-auto-only M+M M10X Elite tactical carbine/SBR really appeals to us, since it looks like a really nice westernized and modernized AK-type weapon system. It’s another interesting tactical firearm to have in one’s collection, assuming it works as well as it looks (including with a muzzle can). 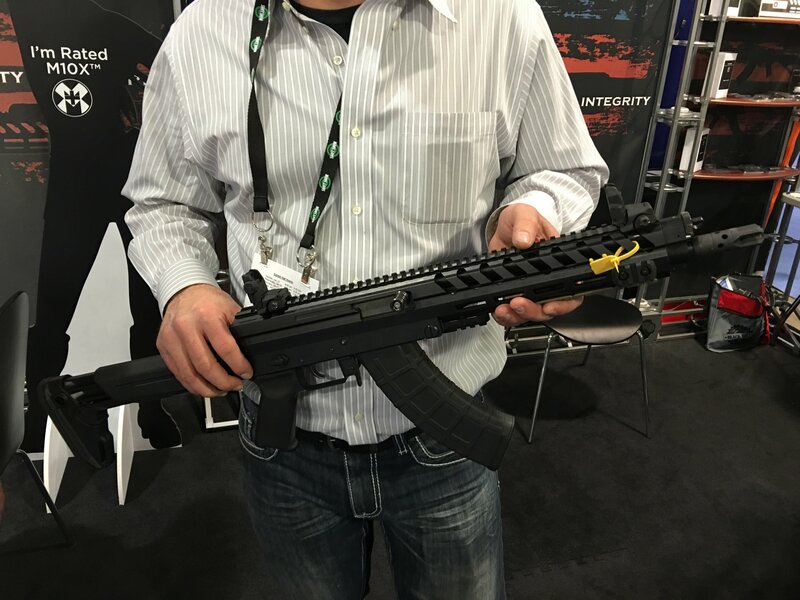 If it does, it should prove to be a pretty great little 7.62x39mm weapons package. – Semi automatic rotating bolt long stroke gas piston driven system, a proven design used in the most reliable self-loading firearms in the history. – Floated barrel is the result of floated joint at gas cylinder and gas block. Relieving tension on the barrel improves accuracy on almost any firearm. – Three-position adjustable gas valve (including “off” position) facilitates reliable functioning in the harshest environments with a wide array of ammunition, or allows the rifle to be manually cycled. – Recoil spring has been eliminated and its function integrated into piston return spring. – Castling feature allows for stronger rigidity and weight reduction in the rifle assembly. – Plunger-style ejector assures even ejection pattern regardless of the load of rounds used. – Single unit integrated upper receiver eliminates guide rail rivets, and allows for stronger, stiffer guide rails to be used, reducing a point of failure, and enhancing the accuracy of the rifle. – Proprietary recoil reducing compensator Designed to reduce recoil and helps to control muzzle climb in rapid firing. – Hinged lower receiver opens like an AR for ease of cleaning and repair, whether at home or in the field. – Ambidextrous charging handle accommodates both left and right-handed shooters and special circumstances created by specialty add-on equipment. – Ambidextrous safety switch for both left and right-handed fire. – Corrosion resistant components ensure functionality even under the harshest conditions, and preserve the value of the firearm. – Mil Spec Type III anodized coating to protect the aluminum extruded outer components, flat black to avoid glare. – The M10X™ maintains the distinctive silhouette as well as legendary reliability proven on our M10™ rifle, with a distinctively modern, extruded aluminum chassis. DRD Tactical KIVAARI AR-Type Quick-Takedown Semi-Auto .338 Lapua Magnum Anti-Materiel/Sniper Rifle/Carbine for some SERIOUSLY Long-Range, Manpackable Shootin’ n’ Scootin’!